A perfect step to add to your skin routine! 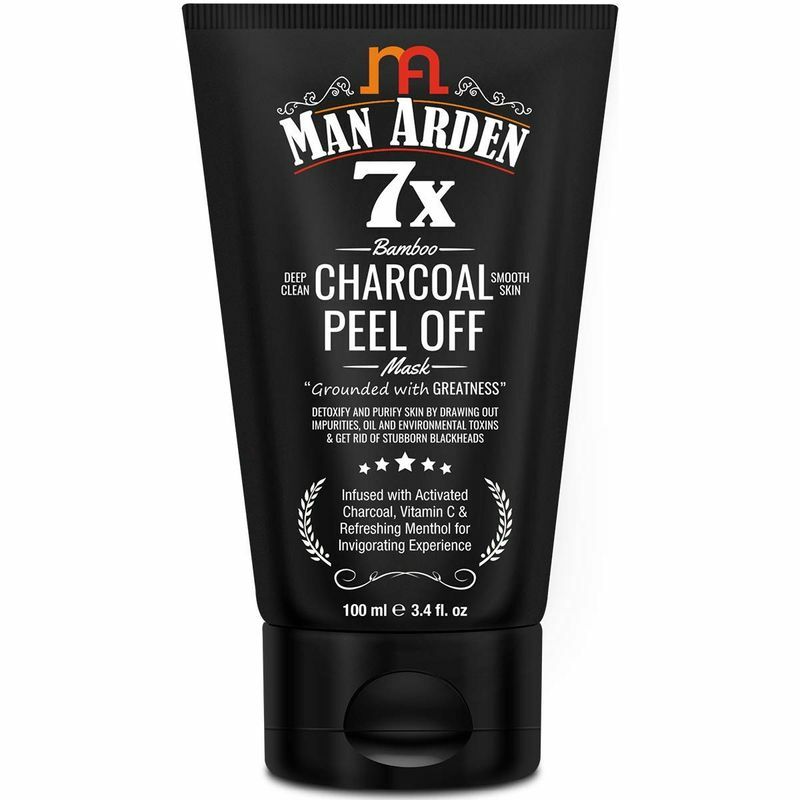 Man Arden 7X charcoal peel off mask is an incredible mask that instantly brightens and softens your skin to reveal a more agelessly, luminous look. The skin will become more toned and smoother, giving you a glowing new look. It will make the skin look healthier and hydrated. 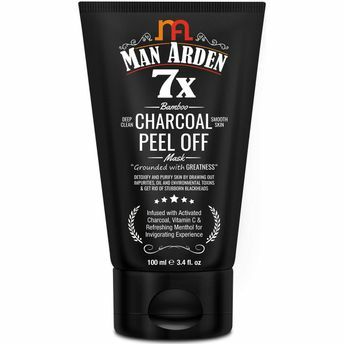 This mask is formulated using activated charcoal from bamboo; in this process the bamboo turns to ashes and is injected to the mask using steam. This makes it a super natural and efficient treatment when it comes to removing bacteria from your skin. The bamboo selected for this process is grown in high mountain levels to keep it more pure and natural. An easy solution to remove skin impurities, blemishes, blackheads and pimples for every skin type. About the Brand: India's No.1 Mens Grooming Brand, Man Arden creates exquisite products specifically designed to suit all types of skin imperfections and enhance the male skin.Understanding men's skin and needs, Man Arden products deliver quick absorption and lightweight formulation your skin demands, and targets specific concerns with powerful custom-fit solutions.Get high-tech, high-performance men's skincare products that give real results. Try it and see for yourself!